Geopolitically analyzing a theater like the Syrian one is scientifically interesting as for a biologist working in a laboratory of excellence. Actors and events follow each other outlining changing scenarios. The conflict continues in the suburbs of the country presenting aspects that, despite the changing nature of events, offer ideas of paradoxical stability. Nobody tends to overthrow Assad, everyone aims to reinforce the clipped geopolitical space. The war continues deepening the confessional radicalism with a surgical division in politically rival areas but with leadership capable of exploiting the situation to conclude business; the belligerents are largely Syrians rooted in the territory, skilled in the "management" of the division of energy resources with local and international mafias and in the distribution of essential services to the communities. The political initiative of Astana stigmatized the Russian ascent, accompanied by the two regional powers interested in geopolitical evolution: Iran and Turkey. The goal is no longer the conquest of central power but the stabilization of the locally acquired one. The oppositions control peripheral areas exposed to external interventions: Idlib - where jihadists are concentrated elsewhere forced to surrender - and Turkey, Daraa and Jordan, the Golan occupied by Israel and disputed by Iran with Hezbollah, Qalamun in Lebanon where Iranian emissaries they buy land and proselytize in areas abandoned by the state. The coast is now a Russian protectorate, while Iran has secured the corridor that connects it with the eastern Mediterranean basin via Baghdad, Damascus and Beirut. Syria, the subject of a sort of Lebanese nemesis, is forced to suffer the geopolitical actors present; the Kurdish PKK, while clashing with the Turkish hostility, actually controls Syrian Kurdistan, so much so that Rojava with its SDF (Syrian democratic forces) has turned out to be the only political system capable of proposing itself, so far thanks to the USA, which alternative to the model in force in the territories controlled by the "government". Daesh is concentrated in pockets in defensive posture and aimed to take the asymmetric form of the guerrilla, while the "Ottomans", which influence the area north of Aleppo, support in a reduced form the non-radical armed oppositions, useful to demonstrate the existence of counterparts moderate. The only opponents capable of war efficiency are the jihadist groups, which continue to receive support from Gulf States: the Saudis support the Islamist army operating east of Damascus; the Jordanians - with the Israeli placet - support the rebel groups in the southern part of the country. If Turkey has framed Arabs and Turkmen in the north to build an anti-PKK buffer, Amman has established a security zone by acquiring the loyalty of Syrian militia in the south. Russia is the emerging force, and aims to consolidate military and strategic interests that lead, indirectly, both to guarantee Assad a power that, if delegitimized, would undermine any hegemonic project, both to contain the Turkish projections. Ivan strikes back, And Uncle Sam? Here the delta. For some time Trump had introduced his variable announcing both suspension of funding and military disengagement, both opposed by his own staff who evaluated a withdrawal as a cause of uncontrolled conflict between YPG1 Kurdish, which holds large territorial spaces including oil and suddenly devoid of time to negotiate constitutional reviews, the Assad regime that does not intend to grant substantial local autonomy, and Turkey. North East Syria may experience a new war with Ankara and Damascus allied with Iranian formations, and a consequent situation of functional chaos to yet another jihadist insurgency. 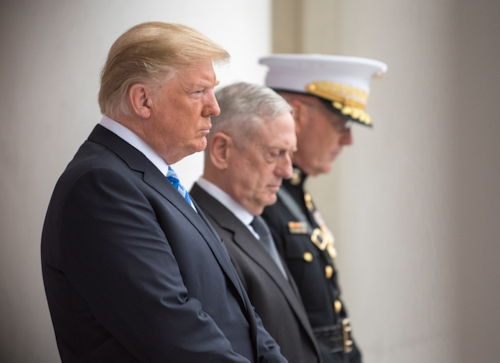 The US represented a guarantee of stability, recovery of services in the former territories of Daesh, dissuasion of Turkish military initiatives, control of both the projections of power by Iran, and the revenge of Damascus, which would aim to exploit the time factor to defer in relation to the American exit. 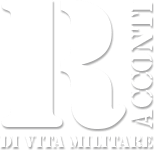 But can we talk about a real departure or rather an attempt to remotely control an unsustainable situation with only 2.000 combat units that can not objectively guarantee any political transition? Isolationist instinct Jacksonian, just of the American society deep and embodied by Trump, who wanted to make it already for the elections of mid-term, however, he found the opposition of the political - military apparatus, aimed at protecting an increasingly problematic hegemony and international credibility, in light of the situation in which the Kurds could pour, first precious allies and now potential (and betrayed) hostages of policies well above their geopolitical quadrant. US withdrawal could lead Turkey to an armed intervention in the north east; if it is true that Erdogan does not appreciate the current landscape, it is equally true that alternative scenarios could provoke dangerous hysteresis, that is a YPG - Damascus agreement; a Syrian military advance capable of extending Shiite influence along the Syrian southern border; the prevalence of Russian geopolitical priorities aimed at discouraging repetitions of Turkish operations carried out in Afrin. In summary, linking the US presence to an anti-Iran plan is imprudent, and an unconditional withdrawal could trigger an uncontrollable rush to power. Given that in the international relations the empty spaces are an illogical to be filled, each scenario presents an uncertain and risky cost / effectiveness calculation. Are the US still reliable partners? Probably this was the question that J. Mattis has addressed to his president, since the concept of power projection has highlighted two critical aspects, namely the inability to serve as a regional referee and, above all, not wanting / to do anything to reverse the trend, given the political fluctuations within the American establishment; after all POTUS2 it did nothing but accelerate the process of disengagement of the Obamiano 2013, with the renunciation of intervention following the Syrian chemical attacks to prevent - yesterday - the risk of a conflict with Russia and Iran, and today a clash with Turkey, never so aggressive and however careful not to interfere with the action of the Chinese political subject, engaged in containing the threat of Uighur Muslims. Trump needs Turkey, especially after the devastating effects of the Khashoggi case, a diplomatic debacle that has forced the White House to diversify its Middle Eastern policy towards the clumsy Saudi ally, however ready in the same days of the scandal to pay over 100 million USD for the stability of the Syrian north east. 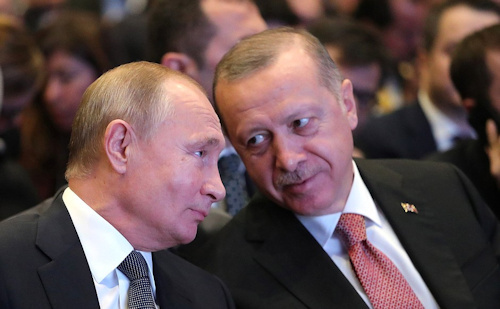 Like it or not, Erdogan, attentive to the Euphrates, which has always been the goal of Kemalist expansion, is an indispensable ally and to be subtracted from the Russian embrace, so that it can be granted, especially after the return of the pastor Brunson, missile systems Patriot, so far denied by all administrations; after the stick, then so many carrots to induce the renunciation of the Russian missile system S-400 (a slap to NATO) and the rebalancing of the Turkish geopolitical barycentre to the west, with the simultaneous loss of balance achieved at Idlib, since Russians could evaluate different options: consider paying no more than spending political influence to curb Assad; opt for support to the Kurdish forces that could allow the deployment of Syrian forces to be put in contact with those in Turkey; to create objective difficulties in the neo-Ottoman aspirations of becoming one hub regional energy. Russia is aware that the gas discovered in Egypt and the Eastern Mediterranean has led to an evolution of competition for the European market with two objectives that affect it: the first concerns the Iranian axis through which to press Turkey to force it to deal with with its energetic oligarchy; the second objective is the Saudi Kingdom, regulator of oil prices, and therefore an actor to induce the reduction of production to increase the cost of crude oil, essential for the support of the Russian GDP. Russia and Turkey remain in the field, given the weakness of the Iranian regime weakened by the sanctions imposed by the US, at the moment the only real success of Yankee in the face of the mistakes made in MO since the end of the Cold War, starting with the dismissal of Saddam Hussein Iraq to the influence of the Ayatollahs favoring the axis Beirut, Herat, Damascus, Baghdad with the center Teheran; we could hypothesize an Iranian recourse to the same strategy with the variant constituted by Turkey, the lever able to alter the American balance, or we could more realistically lean towards a more cautious approach, due to the fear of finding the emptiness left by the Americans filled by the resilient jihadist insurgency . 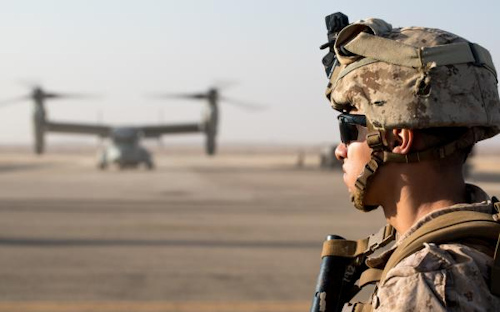 What can be asked is why the US, if they leave the camp because they are victorious in confrontation with IS in Syria, do not leave Iraq, where instead to Al Tanf (in the Anbar governorate, known for its sensitivity to jihadist insurgency) have long established a base that looking at Jordan and Syria, becomes a sort of compensation with the Russian coastal presence. 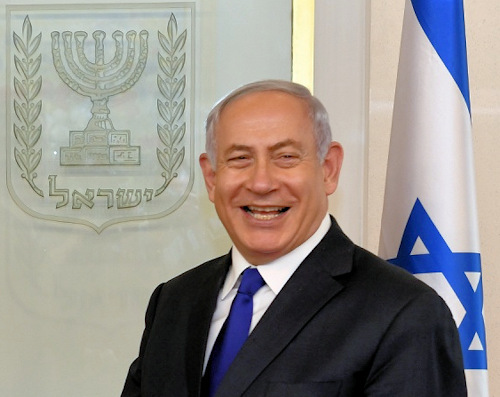 Israeli Prime Minister Netanyahu is sure that the US will use other means of area influence; French and British will remain in the area, and in the future they could play a role for Saudis and Emirates, already in the business of recon3 north of Raqqa, although under the ale of dangerous impacts with Iranian pasdaran forces. 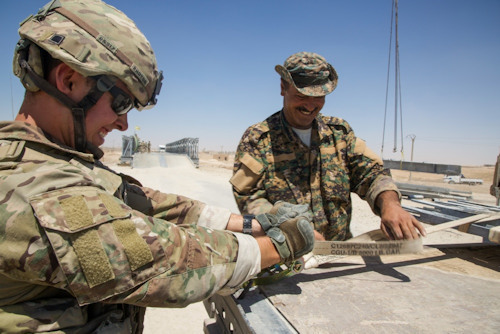 We risk a hypothesis: just as Turkey plays on several tables, so the Americans, in order to remain in the Levant, may have moved their focus both with the enhancement of the base of Al Tanf, and with an investment program witnessed by the 'arrival in Baghdad of numerous US entrepreneurs. Israel must also consolidate its strategy to prevent Iran and Hezbollah from gaining permanent support in Syria; we can hypothesize, in spite of the warnings resulting from the incidents that occurred during the last strike on Syrian targets, direct contacts between Russians and Israelis. John Nash and Von Tirpitz would have had fun; the variables and risks, the risikotheorie German based on which to establish the acceptable percentage of risk, in this game are many, not least that connected to the business of reconstruction. Every actor involved is in fact playing a multilevel competition on which to base his future power policy, certainly not an acceptable stability.